Getting a garden robust enough to survive Houston summers means choosing stronger plants. 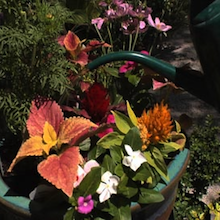 Learn what plants are most likely to survive and how to plant them correctly. You feed it, you water it, and just like your kids, your plant has grown faster than the national debt. And just like new clothes for your tikes, your plant needs a new pot. 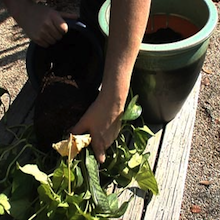 Mary Cummings from RCW Nurseries gives us the QuickTip on repotting your plant. Pulling weeds isn’t easy. You dig, dig, dig and pull and pull, but they always come back. Are you sure you’re doing it right? 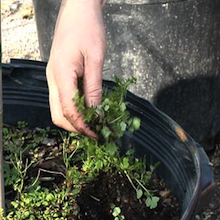 Mary Cummings from RCW Nurseries shows us the proper method for weed removal in just 60 seconds.